← Competition is good for the soul! Because if you do, you’ll miss sooo much. 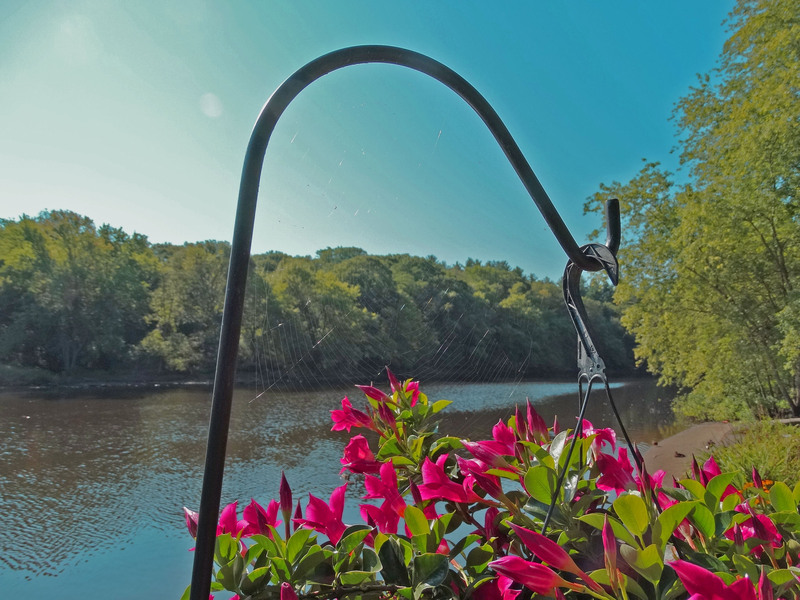 So sit back, keep your eyes wide open, and witness some of the many wonders of the Concord River. 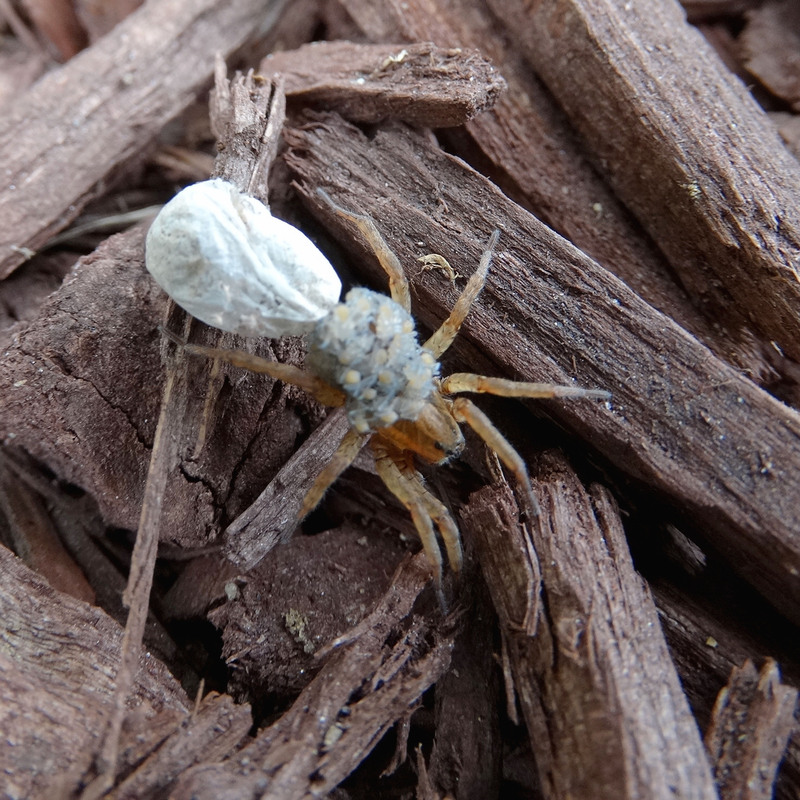 While weeding through the mulch, I came upon mother spider with an egg sack on her back, filled with hundreds of spider hatchlings. It wasn’t my intent to disturb her, but it happened anyway. The sack tore and scores of young spiders scurried in all directions. However, many still clung to her back, perhaps hoping that was the safest place to be. It was. I left them undisturbed and moved on. Mama spider with empty egg sack and infant spiders clinging to her back. 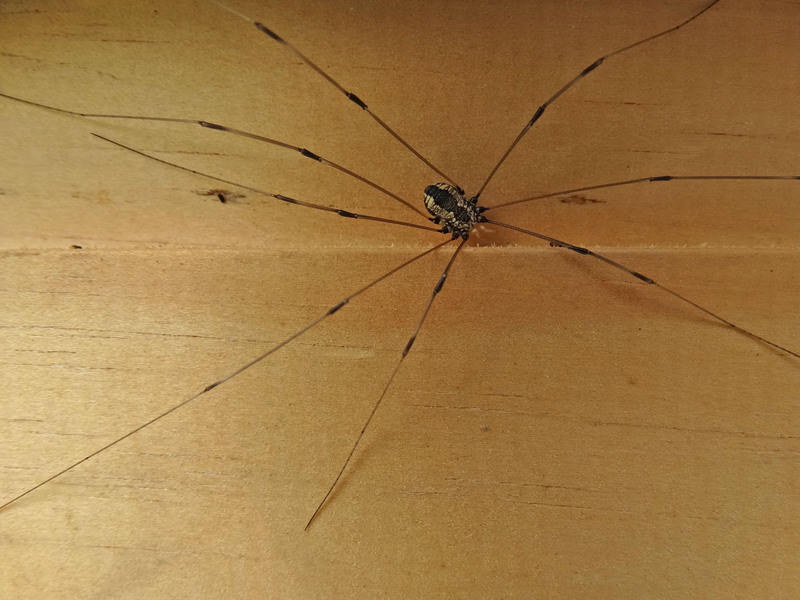 A daddy long legs was hiding under a piece of wood I intended to use for a new window frame. Here’s some interesting party information you may use to impress your friends and family. Daddy long legs are not spiders. They don’t weave silk; their head, abdomen and thorax are fused, unlike spiders that have a narrow waist; and, (ta dah) unlike spiders, daddy long legs have penises! They do belong to the class Arachnidae but branch off from there to the order Opiliones, while spiders belong to the order Araneae. Thank you About Education for this fascinating information. Be careful where you walk or sit. Orb spiders spin their intricate webs in some of the strangest places. I’ve had them connecting my trash containers, across the stairway and one time across the back door frame. Elusive spiders, I am determined to capture one with my camera. Stay tuned. Delicate, nearly invisible, orb spider web. No, that’s not a large bee. 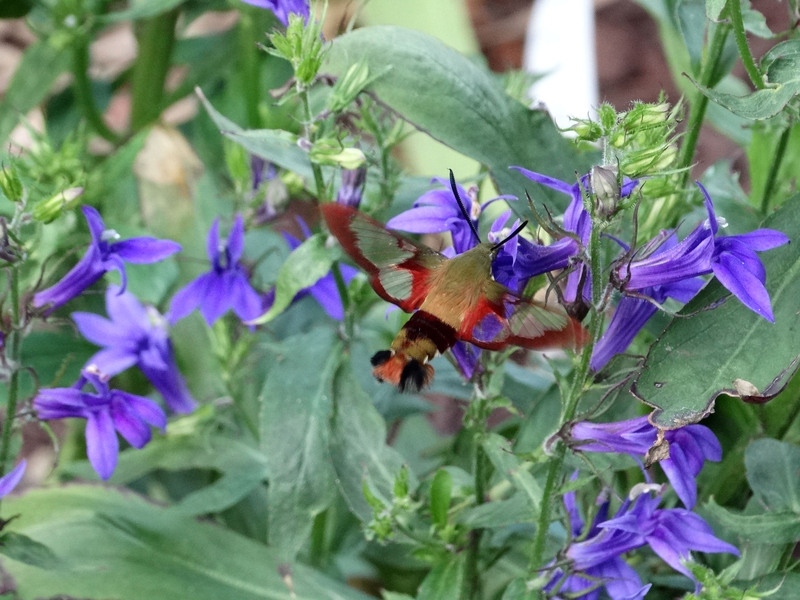 It’s a hummingbird moth and they’re one of the most fascinating insects I come across each summer. The snowberry clearwing (such a cool name!) is not as common as the hummingbird clearwing but much more trusting. This one settled on my finger for a rest and photo op. The more common hummingbird clearwing is much more shy. 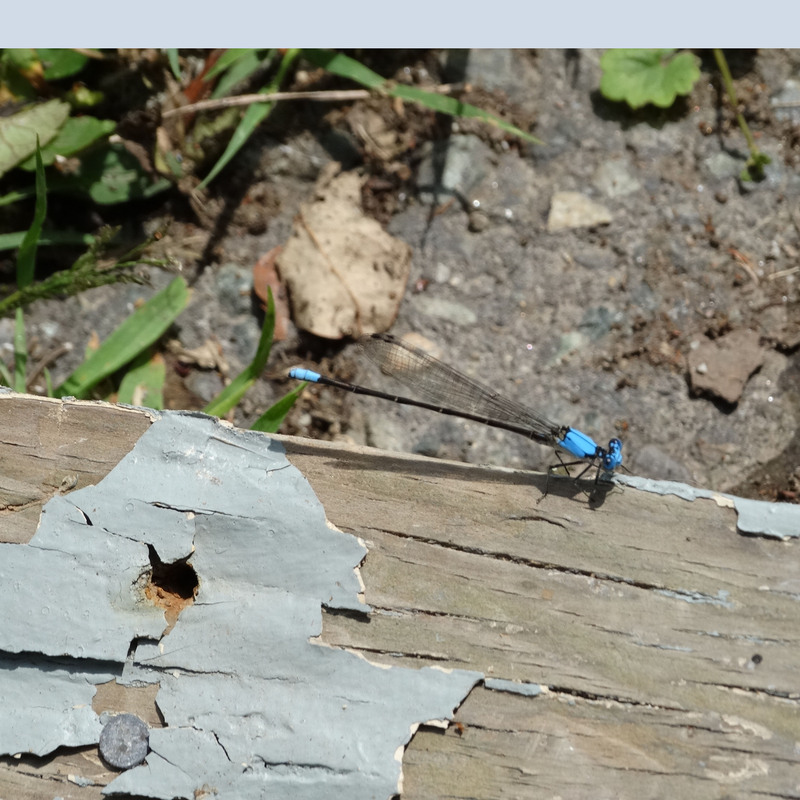 It took me a while to get a photo because every time I got too close it would fly to another blossom. 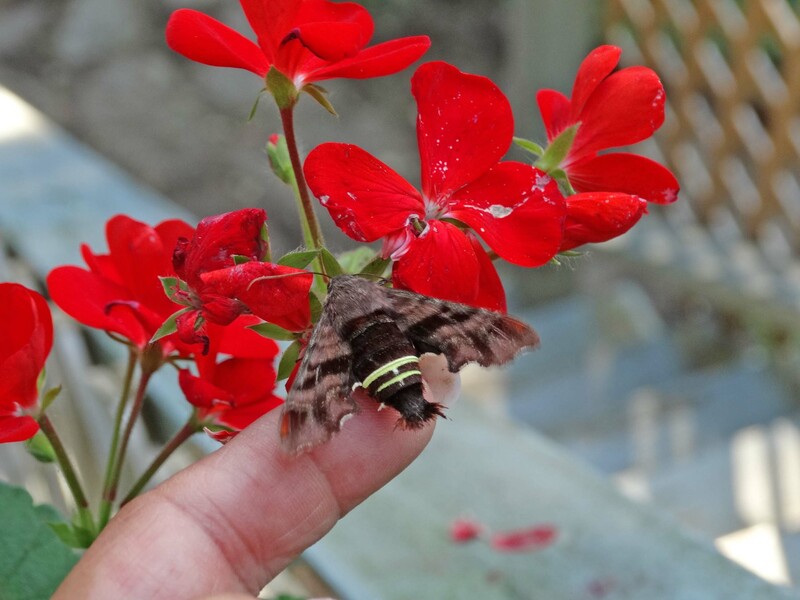 If you plant a nectar producing flower, you’ll probably get hummingbird moths visiting on a daily basis. So next summer make a promise to plant something, make some coffee and enjoy their company. 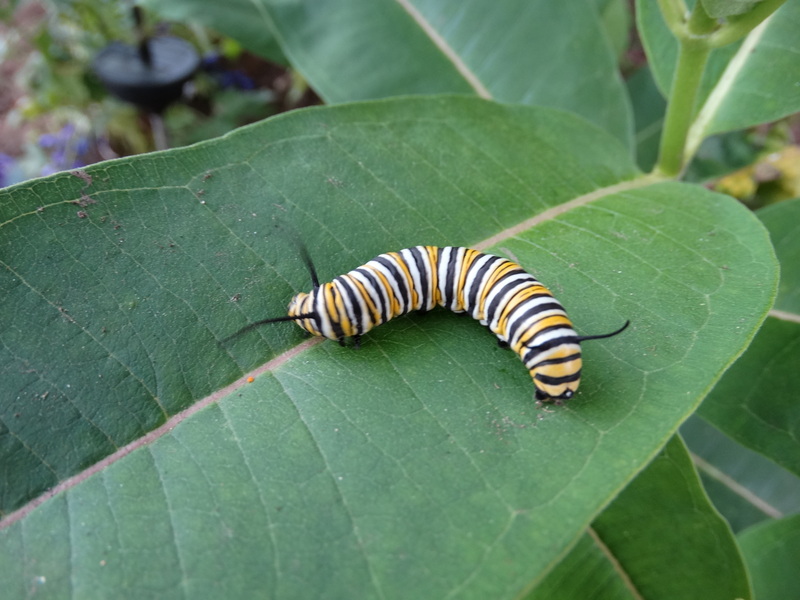 “Just when the caterpillar thought the world was over, it became a butterfly.” Although the origin of this eloquent quote is hotly debated, this doesn’t detract from its deeply rooted meaning. The totems of change, butterflies symbolize powerful transformations. And, of course, beauty. 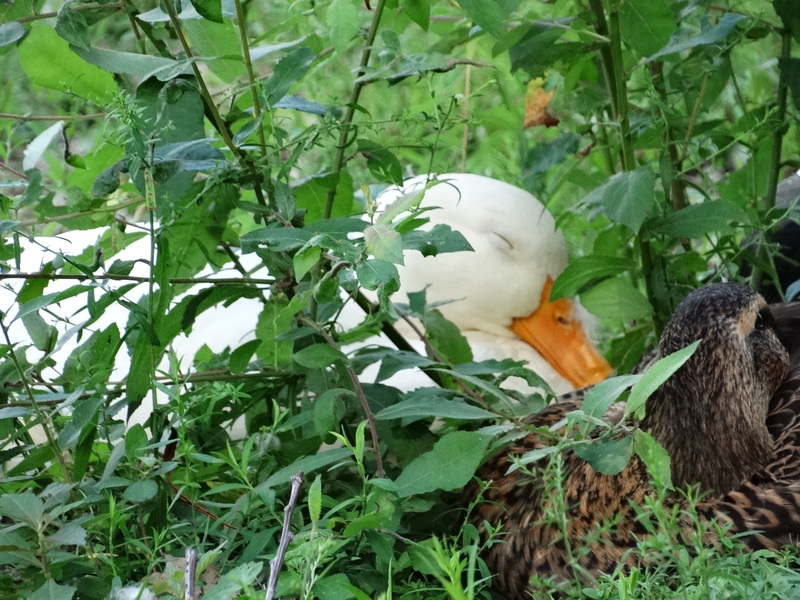 Peek under a bush and you might catch a napping duck. 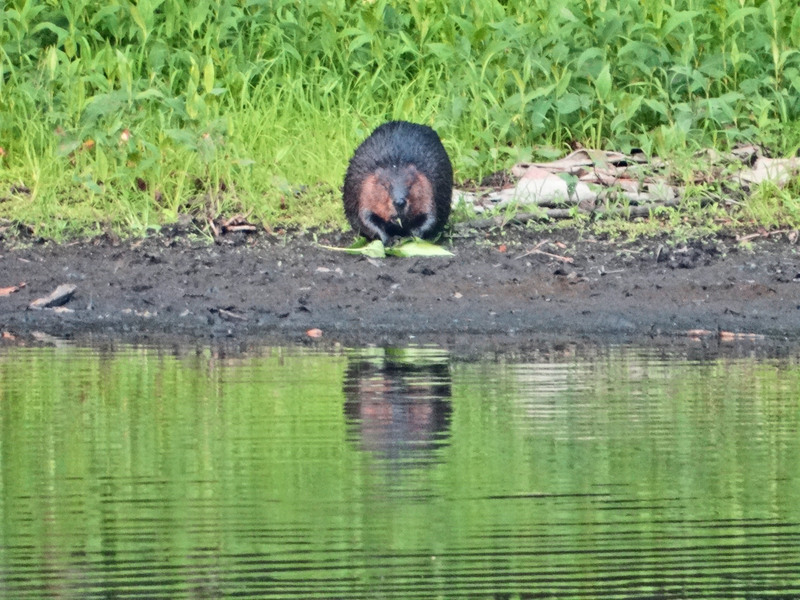 Or, look across the river and wave to a beaver. There’s plenty of wonders to see on the Corcord River. As long as you don’t blink. Gallery | This entry was posted in Life on the Concord River and tagged are daddy long legs spiders, blog about birds, blog about living on a river, blog about the Concord River, butterflies of Massachusetts, butterlies of the Concord River, butterly garden, clearwing hummingbird moth, concord river, Concord River Lady, daddy long leg spiders, damselfies, damselfly, garden spiders with egg sacks, great blog about living on a river, great blog about wildlife, hummingbird moths, information about daddy long legs, information about spiders, life on the concord river, living on a river, Mallards, monarch butterlies, monarch butterly caterpillar, orb spider webs, River Lady, single woman living on a river, sleeping ducks, snowberry clearwing hummingbird moth, sphinx moths, spider egg sacks, stories about living on a river, stories about living on the Concord River. Bookmark the permalink. 2 Responses to Don’t blink! Can I ask what part of the Concord you are on? My grandparents built a summer camp on Elsie approximately 85 years ago. They were the first house as you came down Elsie after the bridge.